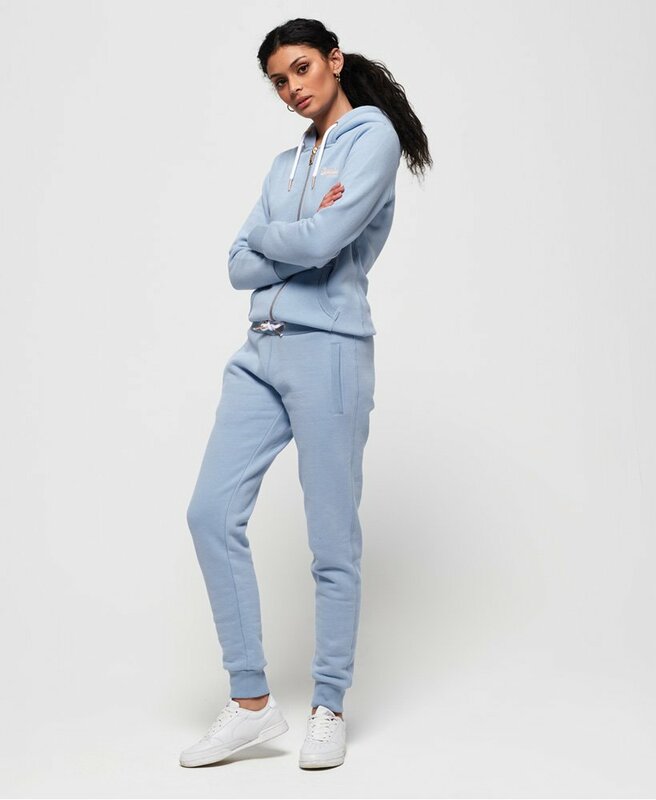 Superdry women's Elite joggers from the Orange Label range. These joggers feature an elasticated drawstring waist, two front pockets and ribbed cuffs. Finished with a super soft lining and an embroidered Superdry logo under one of the pockets.